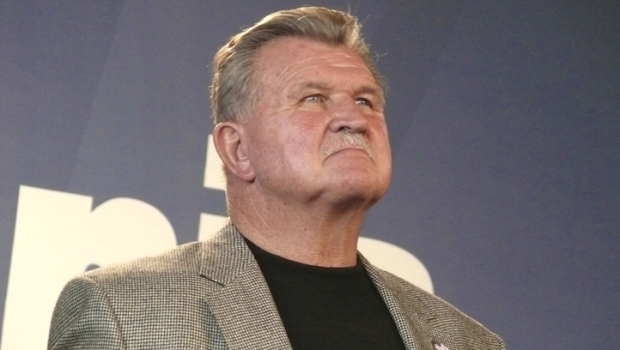 Former Chicago Bears head coach Mike Ditka was hospitalized Friday after having a stroke. The Chicago Tribune reported that Ditka was playing cards earlier in the day when he experienced difficulty with his hands and with speaking. "He's doing fine. He'll be released tomorrow after observation," Ditka's agent, Steve Mandell, told NBC Chicago via text message. According to the Tribune, doctors classified the episode as "very minor." "Thoughts and prayers go out to #MikeDitka and his family. Wishing him a full and speedy recovery from his stroke," Sen. Mark Kirk said in a Tweet. Kirk continues to recover from an ischemic stroke he suffered in January. Ditka, 73, is currently a commentator for ESPN, including "Sunday NFL Countdown." A senior producer with the network, Seth Markman, said Ditka would not be taking part in weekend coverage. The stroke came on the same day that a Lake County prosecutor said in court that Ditka's son, Mark E. Ditka, tested positive for opiates during a pretrial screening earlier this month. The younger Ditka is awaiting trial on his fourth DUI charge. Ditka coached the Bears for 11 years, including the team's Super Bowl-winning 1985 season. He had a heart attack during the 1988 season.